The global launch of Facebook’s long-awaited response buttons on the social network begins on Wednesday. So now, instead of just a friend’s post like you can now respond with “love”, “haha”, “wow”, “sad” or “evil” Emoji. The new response buttons were in development for more than a year. From now on, instead of the thumbs up to such, will Facebook users can respond with anything other than an act of pure positivity to friends’ posts. Long press on the Like button and you will now “love”, see “haha”, “wow”, “sad” and “evil” and contributions are now the mixture of reactions they have received. 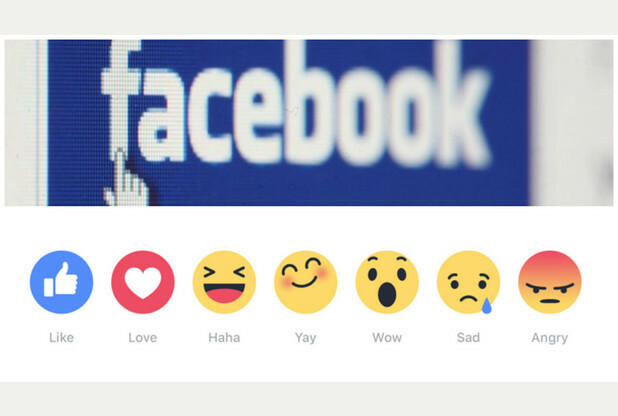 While Facebook has given the opportunity to five different reactions, there is no “dislike” button is, as some users have asked long, says Facebook that the new mix has proven popular from reactions with users during testing in Spain and Ireland , It starts today on iOS, Android and the Web. While the new reaction buttons India have not reached so far, it will be about the world and may soon reach timeline soon be rolled out.